with many great artists on the stage of Sani Hill! 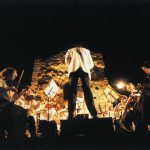 When Sani Resort began the Sani Festival‘s first performance at Sani Hill in 1992, there was excitement, unavoidable anxiety, expectation, ambition to continue, but ignorance of the size that this unique cultular iniative would have for the country. 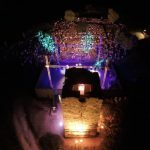 And this year, the Sani Festival, one of the first private initiatives in Greece, is celebrating its 25th anniversary, with resonance around the world and fanatical fans, who are eagerly awaiting its start every summer. The aim was for the Festival to have a specific cultural stamp, an artistic identity within a thematically structured program. The original Jazz on the Hill soon became “sister” sections with – Sani Classic, Sounds of the World, Greek Variations, cinematic music, theatrical and visual projects etc. – that led to development while being recognized in an even wider public. And if the invites of great names showed from the beginning its dynamics, the warm response of legends of the international artistic scene in the process has made it the top of such events. 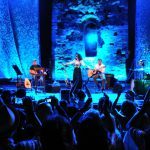 “So,” continues the artistic director, “this year we invite our favorite artists from the international and domestic stage, some of whom we set up for the first time in the Greek audience to celebrate together. But also others, that for the first time, we host, knowing and recognizing their work, we love “.